After breakfast ashore (Maine blueberry pancakes), we continue our ecumenical tour of New England by attending the 9:30 AM worship service at St. Thomas Episcopal Church in Camden. The remainder of the morning is devoted to domestic tasks, including laundry and grocery shopping. By 2 PM, Cutter Loose is free of her mooring in Camden Harbor and bound for Pulpit Harbor on Northhaven Island. We enter the harbor, straightforwardly navigating Pulpit Rock, a huge monolithic outcropping in the center of the entrance. 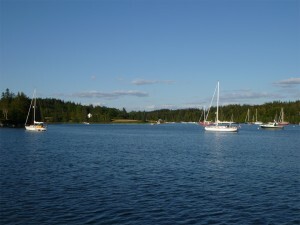 The harbor is surrounded by private homes, our view of which is partially obstructed by forests of pine. This is a scenic little harbor. 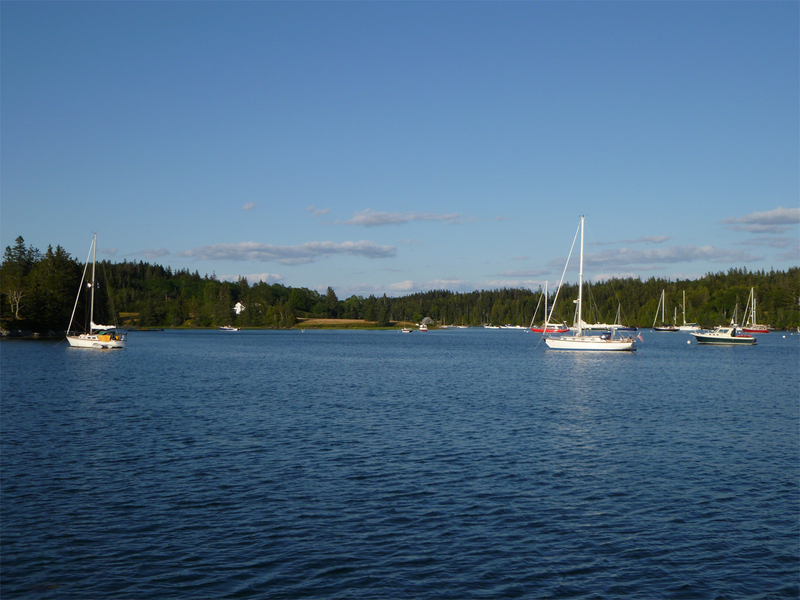 From our anchorage, we enjoy a direct view of the Camden Hills, about ten miles to our west. The hills remain backlit by a pale orange glow well after sunset.